I went back to riding adventurously in 2011. Since then I’ve ridden around 250,000 miles/ 400,000km on a few different bikes from 250’s to 1200’s, on all sorts of terrains all over the world, tried lots of brands, some I like, some I really like and some that were just so, so. – below are my experiences. This might be a company and a tire you haven’t heard of, but you will. They are from Australia and are giving Heidenau and Mitas a run for their money. 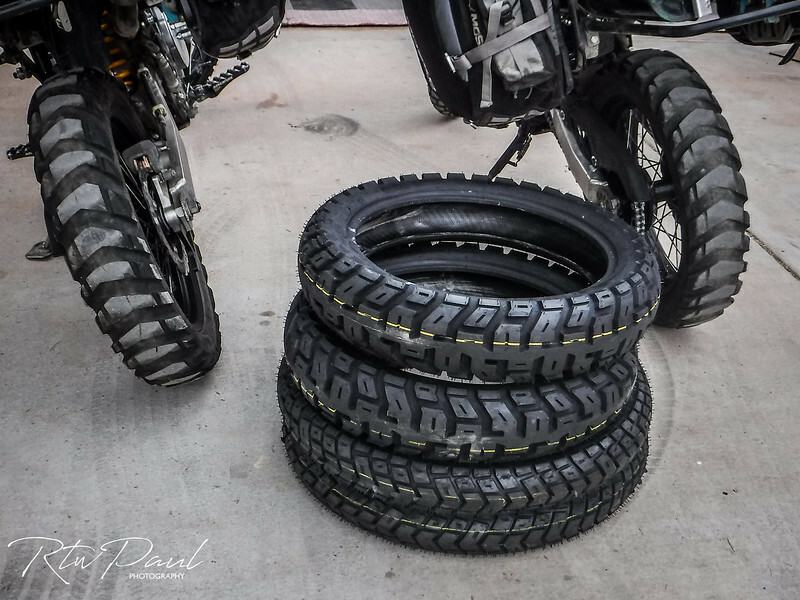 On and off the road they just feel better than the other two…especially on the road it feels like a 100% street tire. In light dirt and graded stuff, they hook up. The biggest difference is in the wet, the Heidenau and Mitas let you know that they aren’t there for you 100%, but the MotoZ does. 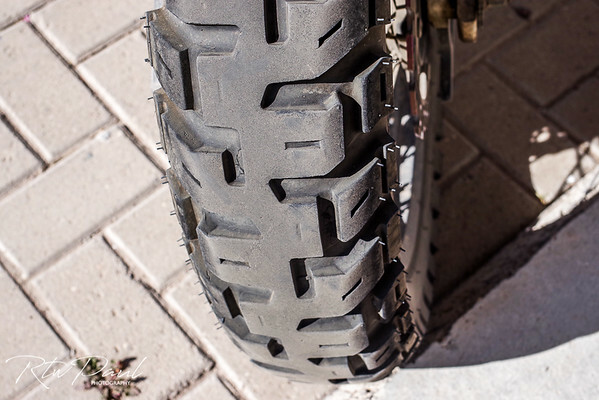 These are the tires we are running right now on our two DR650’s and we have ridden on pavement, graded dirt, dirt, rocks, sand, bulldust, light snow/ ice and torrential rain and not once have I had to think about the tires…they just do what you want them to do. To date we have 4000 miles on the set, the rear still has more tread left than a Heidenau or Mitas comes with, and the front shows virtually zero wear!